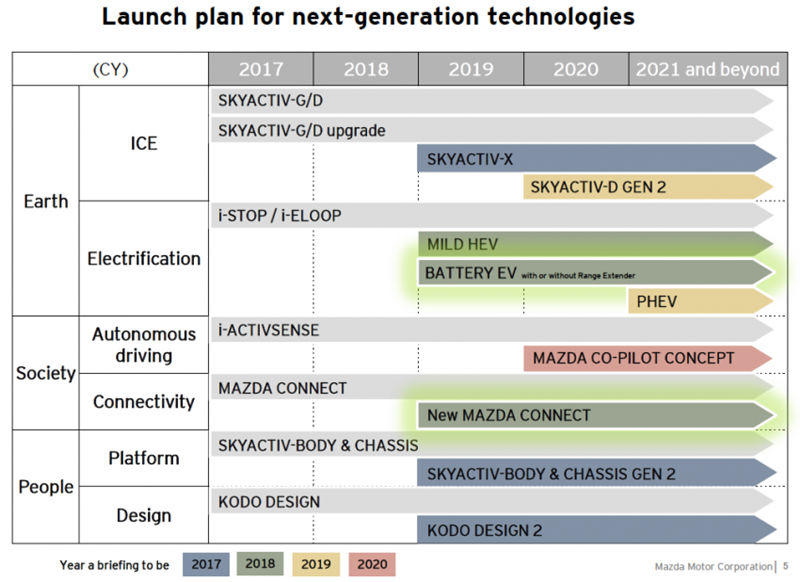 thanks 7eregrine; yup, looks like Mazda had planned a new version of the SkyActiv-D in 2020 so this timing might actually work out for them. The prior generation had issues, the EPA ratings weren't what they wanted so they must have just shelved it for the remainder of the cycle's life (through 2019) so if they do bring a Diesel to market, it'll be a newer version. If so, we're basically back to square one as we were in 2017 with the infamous "coming soon" landing page on MNAO's site. I'm sure the SkyActiv-D version 2 will come out at some point for the international markets so that'll give us our first glimpse at it but the question will continue to remain: will a diesel Mazda be sold in the US. Will the fuel mileage increase over the version 1? If so, at what cost. Looking at the US auto industry in general, I have a feeling that any new diesel vehicles will be few and far between. The subject has become a lightning rod of sorts here. Looks like mazda took down the Cx-5 diesel page under future vehicles. Curious if they are revamping it or just taking it down for good. Yeah, and poor Monty hasn't posted since around the time I PMed him my address to as to allow him to stand behind his honor by paying his debts for losing that bet. Man, I'm glad I didn't wait around any longer hoping for that diesel CX-5. Oh wow. Didn't make good huh? He posted about buying a Velostar N recently I believe. Was it since then? Same here. I've had my 2018 for over a year and am overall very happy with it. I guess I can now hope that Skyactiv X delivers some of what I was hoping for in the diesel. If that's with 87 octane and more low end torque than the naturally aspirated 2.5, it sounds pretty good to me. I may have to agree with Kaps here and you might be disappointed just like the EPA MPG ratings on Mazda’s SkyActiv-D 2.2L diesel. Mazda was predicting 188 hp and 170 lb-ft in 2017 then 190 hp and 180 lb-ft in 2018 on Mazda’s SkyActiv-X 2.0L. The official power numbers from new Mazda3 selling in Slovakia are now announced to be 178 hp and 164 lb-ft which are not much better than SkyActiv-G 2.0L with 155 hp and 150 lb-ft in the US. And it can’t out-perform the SkyActiv-G 2.5L with 186 hp and 186 lb-ft. There’s no SkyActiv-X 2.5L in sight as far as we can tell at this time. So getting a SkyActiv-X 2.5L with a bit more low-end torque than SkyActiv-G 2.5L may have to wait for a while. I may have to agree with Kaps here and you might be disappointed just like the EPA MPG ratings on Mazda*s SkyActiv-D 2.2L diesel. Mazda was predicting 188 hp and 170 lb-ft in 2017 then 190 hp and 180 lb-ft in 2018 on Mazda*s SkyActiv-X 2.0L. The official power numbers from new Mazda3 selling in Slovakia are now announced to be 178 hp and 164 lb-ft which are not much better than SkyActiv-G 2.0L with 155 hp and 150 lb-ft in the US. And it can*t out-perform the SkyActiv-G 2.5L with 186 hp and 186 lb-ft. There*s no SkyActiv-X 2.5L in sight as far as we can tell at this time. So getting a SkyActiv-X 2.5L with a bit more low-end torque than SkyActiv-G 2.5L may have to wait for a while.